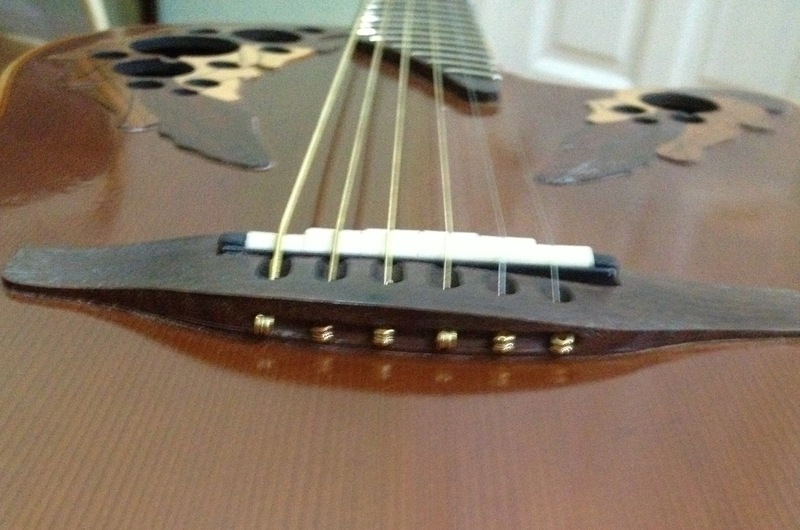 My Ovation guitar had to undergo some major repairs the other day. Considering that it is older than my own Arrow #3, I guess it’s not doing too badly. When it came back, I have to confess that I was a little disappointed. It wasn’t what I expected… and yet what DID I expect? I am not sure. Certainly not a perfectly new as before one… And yet I was disappointed, especially with the sound. So I passed it to a friend who is in the music business and he tested it. And played it….. and approved it! He said one should play to the guitar and not try to force it. Well, that made sense and at the same time I wondered why I never thought about it before! So I guess I now need to get myself a tuner to make sure my equipment is sufficient. I need to check where there are guitar tuners for sale and get a decent one…. SO many to choose from! But God enables! This entry was posted on 25/03/2013 at 00:16 and is filed under Music. You can follow any responses to this entry through the RSS 2.0 feed. You can leave a response, or trackback from your own site.